We all know that how something is designed can make it easy or hard to do. If you’ve struggled to figure out how to use a new phone, or even just whether to push or pull a door, you’ve experienced how bad design can slow you down. Amazingly, though, psychologists have found that you make judgements about how easy something will be before you’ve even begun doing it – and if something is designed badly, you’re more likely to think your task is going to be difficult, and you’re less likely to want to try doing it in the first place. Humans like to take things easy. Psychologists have known for a while that making something look hard makes people less likely to do it. Have you ever tried to start working out, or to change your diet? It’s notoriously hard to do, and that’s partly because it seems like it will take a huge effort. But if you’ve never done it before, how do you guess what it’s like? Two psychologists in the US, Hyunjin Song and Norbert Schwarz, thought that maybe we run mental simulations of the task. If that’s all we do, they thought, making the simulations harder should make the task seem harder too. 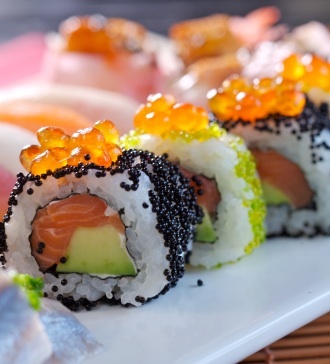 Here’s what they did to test their idea: they started with a sushi recipe. They gave it to a bunch of students, all around 18 years old, let them study it, and afterwards asked them questions about it. They started off with basic memory questions about the recipe, then asked how hard they thought it would be to make the dish, how long it would take, and how willing they would be to do it. The twist was that for some students the recipe had been printed in a font that was easy to read, and others got the recipe in a hard-to-read font. It turned out the font made a big difference. Students who read the recipe in the hard-to-read font thought it would take longer to make and would require more skill than the students who got the easy font. They also said they would be less willing to make it. You might think that was because the font made the recipe so hard to read that the students didn’t understand it. Except both groups of students did as well as each other on the memory questions. It wasn’t that group with the crazy font didn’t get what was going on, it was that the recipe required more effort to read. That fools the brain into thinking that it’ll take more effort to do the actual task. Which goes to show you just how important it is to get designs right. Things not only have to be easy to use, they have to look easy to use, too. Iif you design a phone, an mp3 player or a piece of software that looks complicated, people will be less likely to give it a try in the first place.